It was the right size for an HLT, and the price was right. The price and quality is awesome! It's time to up my game. 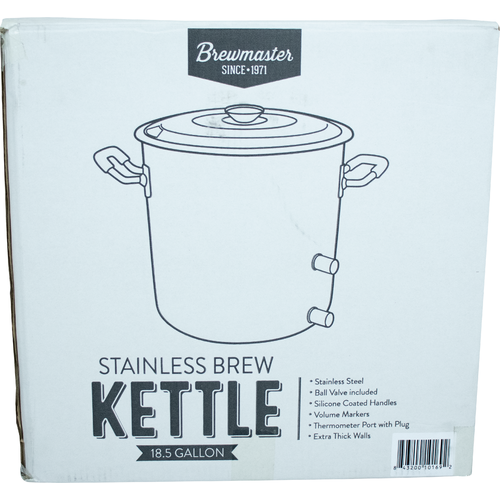 I've been using an 8 gallon kettle, but I really need to babysit it to make sure that it doesn't boil over, especially when doing a higher gravity brew. 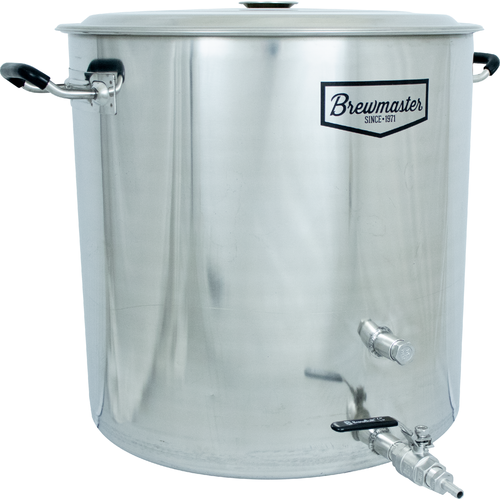 Needed a new kettle to replace my mash tun cooler. Appears to be a great value. How powerful (BTU's) of a burner will be needed for this kettle? My ambient temperature is between 80-95 F year round in Jamaica, so 100-120k BTU should do for me. Thanks alot! 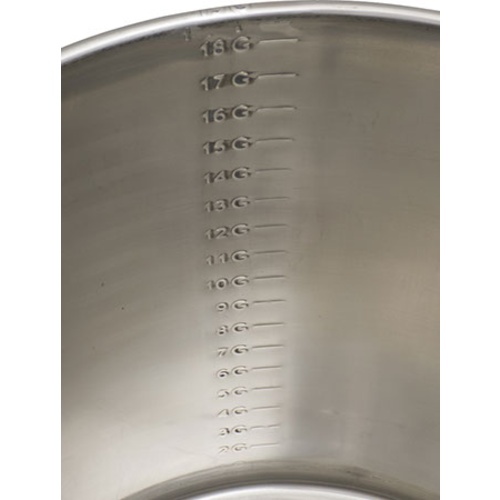 I use a more beer unit and it doesn't take very long to heat 20 gallons. 15 minutes. Don't fill the pot up completely, it might boil over before you can turn the heat down. 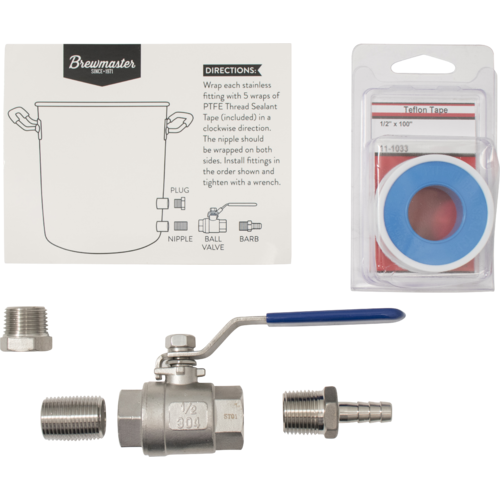 Almost any propane burner (think turkey fryer) will work for batches up to 1/2 bbl. They’re typically rated for 50,000-60,000 BTU/hr. Love this kettle! Volume markers are very accurate. 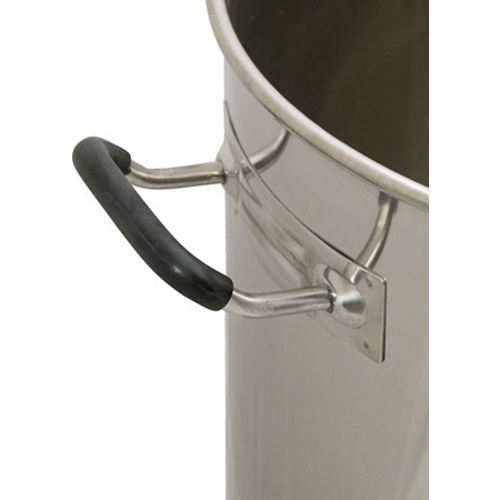 My only wish is that there was a way to hook the lid on the rim or a handle. Otherwise no complaints. Both ports are fully threaded, which made installing a whirlpool fitting easy. The finish on the inside of the couplers is a little rough - a few spots started rusting after the first boil.